Recently, I spent considerable time reviewing Classé’s latest preamplifier-processor, the Sigma SSP. 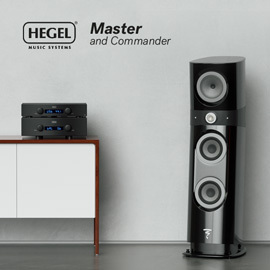 Priced at $5000 USD -- a little more than half that of Classé’s flagship pre-pro, the SSP-800 -- the Sigma SSP acquitted itself admirably with both two-channel and multichannel media. 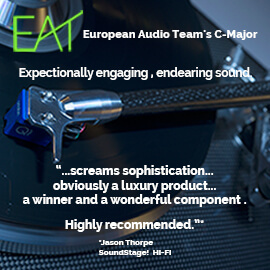 What I failed to mention in that review was that Classé had also shipped me a Sigma Amp5 multichannel amplifier ($5000), the subject of this review. Designed to be partnered with the Sigma SSP, and promising a commensurate quality of sound, the Amp5 is one of three amplifiers currently occupying Classé’s Sigma line. 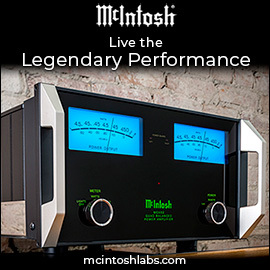 The others are the two-channel Amp2 ($3500), which offers 200Wpc into 8 ohms or 400Wpc into 4 ohms; and the Mono monoblock ($3500 each), which can provide a brawny 350W into 8 ohms or 700W into 4 ohms. All three of Classé’s Sigma amplifiers look identical, measure 17”W x 3.75”H x 14.5”D, and have a case of aluminum and a chassis of steel. With a faceplate of black, brushed aluminum bisected by a gloss-black center panel, at the center of which appears the Classé logo, the Sigmas’ frontal appearance is clean and uncluttered, and differs only in the model name, in small type just below the logo. Aluminum plates cover the top, bottom, and sides, while stamped steel is used for various internal mounting panels, braces, and other chassis parts. As on the Sigma SSP, a power button in the top left corner communicates power status by changing color: red when off, green during boot-up, and blue when fully on. A peek under the Amp5’s hood revealed a layout of internal components and circuit boards that appeared organized and highly efficient. This came as no surprise -- the Sigma Amp2, on which the Amp5 is based, is essentially the same amplifier as the company’s CA-D200, but in a different chassis. Of course, to accommodate five channels rather than two, some parts and circuitry had to be modified for the Amp5 -- such as its switch-mode power supply and proprietary class-D amplification stages. Having listened to several different digital switching amplifiers, each employing different design approaches, I do not disbelieve class-D’s ability to sound natural and organic -- or, if you prefer, analog. I am, however, aware of the problems that class-D amplifiers face, and for the Sigma Amp5 Classé appears to have gone to great lengths to minimize several of these problems. For example, while the Amp5 is a fully balanced, digital class-D amplifier, it differs from typical designs in some key areas. First, the Amp5 has what’s called a Bridge Tied Load (BTL). In this topology, each half-bridge is referenced to ground, but since the output is differential, there is no ground reference between the speaker terminals. This approach is beneficial because it provides a safe, direct-coupled signal path for the driver and output stages, but it can also be free of servos or DC blocking capacitors without running the risk of presenting the speakers with DC. The Sigma Amp5 also makes use of a truly balanced input stage, in this case one shared among all of Classé’s costlier Delta-series amplifiers. This input stage uses a proprietary analog-to-digital (A/D) conversion stage shared by the SSP-800 and CP-800, and is equipped with comprehensive overload protection, all of it outside the signal path. This overload protection is complex, and useful in having the ability to shut down the amplifier completely should a short occur; and, in overcurrent or overtemperature conditions, regulate the output of the amplifier with the precision of a single switching interval -- which, in all Sigma amplifiers, is 0.0000026 (1/384,000) second. Classé has also gone to great lengths to minimize noise and maintain in-phase power delivery by implementing a switch-mode power supply (SMPS) replete with their tried and true Power Factor Correction circuit. This PFC stage, which precedes the SMPS, is said to operate at more than 90% efficiency by using a zero-voltage-switching technique. Classé claims that this approach, when paired with Texas Instruments’ proprietary Natural Interleaving technology, helps maintain minimal levels of noise and ripple. As a result, the combination of SMPS and PFC is said to pull from the wall, throughout the voltage cycle, less peak current than would a linear power supply of similar size. In discussions with Dave Nauber, President of Classé Audio, I also learned that the switching frequency of the power supply is 120kHz, meaning that the Amp5’s capacitors are refilled from the supply 240,000 times per second! To put that into context, a linear power supply typically pulls its power from the wall at around 60Hz, and recharges its capacitors roughly 120 times per second. With the ability to recharge 2000 times faster, Classé’s SMPS/PFC combination not only negates the need for massive onboard capacitance, but, as I’ll talk about later in this review, it enables the Amp5 to sound agile and massively dynamic. Equally impressive is Classé’s approach to minimizing deadband time, a problem faced by all digital switching amplifiers. Deadband time is the time gap between when the high side of the sinewave turns off and the low side of the sinewave turns on. 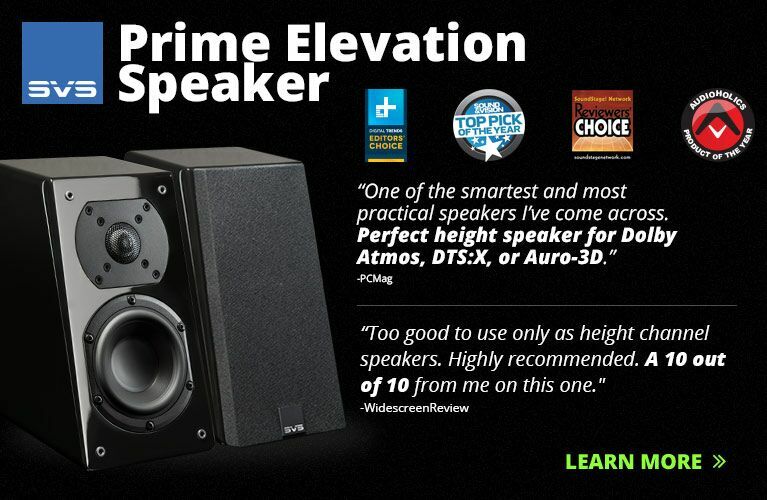 Longer deadband times typically mean higher levels of audible distortion. As an example of the level of precision required, 15 nanoseconds (ns) of deadband time can translate into roughly 12dB of distortion. In all of its Sigma amplifiers, Classé has attempted to combat this by using proprietary drivers and DSP tools that, on power up, use controller circuitry to analyze and adjust for minimal deadband time (less than 3ns) at each pair of outputs. They claim that this circuitry is so precise that such things as part tolerances and the potential for drift over time, for each amplifier, have been taken into account. Collectively, Classé’s efforts have helped to produce a 23-pound amplifier capable of producing a stout 200Wpc, all channels driven, into 8 ohms -- or twice that into a 4-ohm load, two channels driven. (Classé says that it’s simply impossible to pull enough juice from the wall to provide all five channels with 400W of output.) The Amp5’s total harmonic distortion, all channels driven into 8 ohms at 1/8 power, is specified as 0.018% with a signal/noise ratio of 100dB. I kept things simple by swapping out my Marantz AV8801 pre-pro for the Sigma SPP and leaving everything else alone. 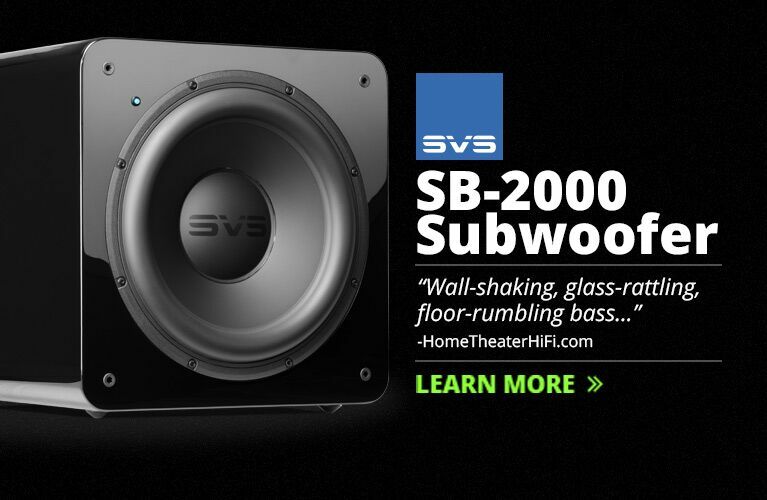 The Sigma SPP proved the more transparent, so I left it in the loop for the duration of the listening for this review, and swapped out my Simaudio Moon Evolution W-7M monoblocks and three channels of my Rotel RMB-1585, leaving the Amp5 to drive all but the rear channels of my 7.2-channel speaker array. I continued to use my Oppo BDP-103D universal Blu-ray player and Calyx Femto DAC as sources, and left my Rockport Technologies Atria speakers and Dynaudio Confidence II center-channel speaker right where they were. A pair of JL Audio Fathom f112 subwoofers filled in the bottom end, while a combination of Analysis Plus Silver Oval interconnects, Kimber Kable Select KS-6063 speaker cables, and Cardas Clear Beyond power cords tied everything together. Power for all components was pulled from a dedicated 20A line through a Torus AVR2 power conditioner. 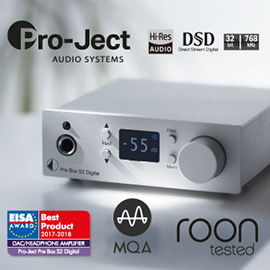 While trying to break in Simaudio’s latest flagship DAC-streamer, the Moon Evolution 780D, for an upcoming review, I used the Classé Sigma Amp5 continually at varying loads for weeks without issue. I learned two things. First, the Amp5 got up to temperature quickly, and stayed there no matter how hard or long I punished it. Second, the Amp5 was rock solid in operation. Watching the BD of director Alan Taylor’s Terminator Genisys, I was taken aback by just how neutral and utterly revealing the Amp5 could be. I was barely two chapters into the movie when I began to notice things I’d previously had to strain to hear, or didn’t know were on the Blu-ray. In chapter 2, as the first Terminator is sent back in time, lightning strokes appeared around the room, sounding crisp, fast, and palpable in their intended impact. Microlevel details and Foley nuances, such as the squeak of a dump-truck door opening, or the click of computer keys being struck, were now obvious rather than obscured. The Amp5 also did a terrific job of accurately communicating appropriate levels of pitch and tone in male and female voices. Male voices, in particular, were more clearly differentiated -- I could hear more breath and rasp in them, which allowed each voice to sound more real and organic. Later, in chapter 4, when the original T800 Model 101 sent to protect Sarah Connor engages the new Terminator sent by Skynet to kill Sarah, I reveled in how well delineated were the sounds of metal on metal as the two Terminators fight. Mid-battle, the protective T800 slams a pay-by-view telescope across the head of Skynet’s T800, tearing off part of its face -- the solid thump of the impact was seamlessly heard and felt. As the casing breaks, coins fall to the ground -- the Amp5 did nothing to cloud the shimmer and speed of each coin as it bounced and spun off the concrete. The sense of realism conveyed through all seven channels was nothing shy of engulfing, and prompted me more than a few times to hit the back button so I could listen more carefully for the crystalline sounds of the coins, each in its own dimensional space. After watching Christopher Nolan’s The Dark Knight, I returned to chapter 20, which I’d just used to evaluate the Sigma SSP. 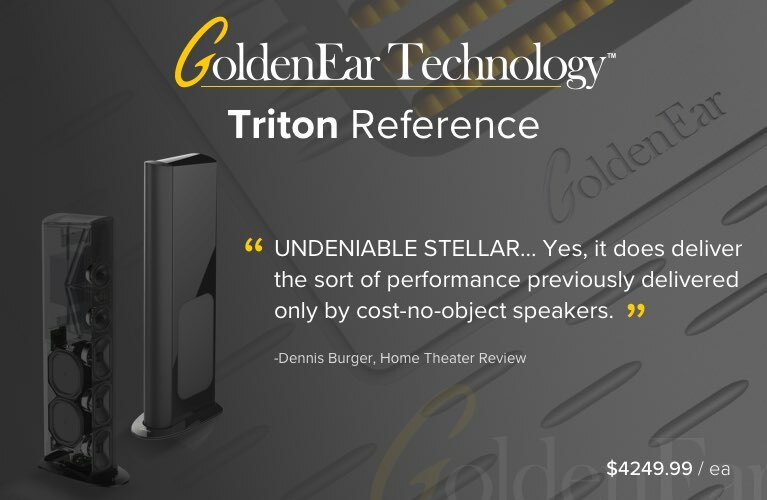 As I wrote in that review, I love trying to detect various faults in home-theater equipment, whether in massive dynamic swings, vocal clarity, channel separation, transient control, or . . . for chapter 20, the list goes on. I was enthralled by the levels of detail, neutrality, and control that the Amp5 presented, especially in the most demanding scenes. The Amp5’s dynamic prowess was arresting -- by no small measures, it sounded faster, cleaner, and more resolved than my Rotel. As I listened to the sounds of Harvey Dent’s armored transport vehicle making its way through the underpass, I got a real sense of space from the motor and exhaust sounds echoing off their surroundings. When the driver of the Joker’s semi sounds his horn, signaling the beginning of the attack, the horn sounded convincingly real and in the room, with sustained decays bordering on echoes. Before I had time to think about it, the Joker entered and, with a shotgun, killed a street cop at point-blank range. Again, the dynamic impact and sheer power of the shell being fired grabbed me -- it was arresting. By the end of this and other chapters from various films, I was hard-pressed to find fault with the Amp5’s proficiency as a home-theater amp. So I began to hunt for music-only media, knowing that some buyers might use their Amp5s for multichannel music, or even to biamp their main speakers in a two-channel setup. As I prefer to listen to music through only two speakers, I have few, if any, multichannel discs in my collection -- so all of my musical listening was to two-channel recordings. I kicked things off with “When We Were Young,” from Adele’s 25 (16-bit/44.1kHz FLAC, XL Recordings). Two instruments open this track: piano and bass guitar. Not surprisingly, each was cleanly delineated by the Classé Sigma Amp5, yet with a vast difference in size. The piano filled the room, seemingly emanating from outside and slightly above both of my Atrias, while the bass guitar was neatly placed at center stage, sounding precise in scale. When Adele entered, she completely filled the center stage, sounding dimensional, powerful, and, frankly, massive -- but something interesting was happening. Despite the room-filling piano and Adele’s soaring voice, I could still hear the picking of each string of the bass guitar. In fact, I found it easy to focus on whichever facet of what was happening on stage I wanted to, be it the bass, Adele’s voice, the voices of the backing singers, or the subtle shakes of the maracas to far left. Each sounded neutral, fulsome, dimensional -- and, in the case of Adele’s voice, highly dynamic. As I turned up the wick, most of what I’d heard at moderate volume levels simply grew louder, with some subtle changes. While the texture and tonal accuracy of each note plucked on the bass guitar was still easily perceived, there was now a bit less bloom and punch, and I missed it. I also noted that Adele’s voice, while still clean, controlled, and highly dynamic, now sounded a bit aggressive, almost edgy. Curious if what I was hearing was related to a slight recession of the Amp5’s bottom end, or if it was perhaps something in the recording, I moved on to a recording of known good quality and not much bass: “Keith Don’t Go,” from Nils Lofgren’s Acoustic Live (CD, Vision Music VMCD1005). At reasonable to somewhat spirited volume levels, Lofgren’s acoustic guitar sounded simply fantastic. Pick slides were easily followed, string decays dissolved into an expanse of inky black, and the stage on which Lofgren and his guitar appeared seemed vast and dead quiet. Also noteworthy was how locked in and palpable Lofgren’s voice sounded. Through some amplifiers, Lofgren can sound a bit recessed and lacking in dimension, but I heard nothing of the sort through the Amp5. When I turned up the volume to a level at which I’d watch a movie, Lofgren’s guitar, like Adele’s voice, began to sound a bit steely. While this was still fully enjoyable for someone like me, who wants to hear every last iota of detail and nuance, I can certainly understand if others might want just a bit more warmth, bloom, and liquidity. By contrast, I found Diana Krall’s version of “Walk On By,” from her Quiet Nights (24/96 FLAC, Verve), to sound simply seductive at any volume level. While this is admittedly a higher-resolution file, cymbals shimmered with air and delicacy against Krall’s smooth, smoky voice. The notes of her piano had enough liquidity and warmth to allow them to sound both convincing and inviting, and her quick, controlled depressions of the keys were communicated with excellent transient control. John Clayton’s double bass was also appropriately scaled and forceful. This articulation and volume of bass were even more evident when I skipped forward to “You’re My Thrill” -- I could hear the complexity of each foundation-laying piano note. As I listened, at various volume levels, to numerous genres of music at varying bit depths and sample rates, I concluded that the hint of edginess I’d heard in Adele’s “When We Were Young” was most likely due to the way the album was produced, and was not the fault of the Sigma Amp5. Although this may be cause for annoyance with some “Red Book” CDs or recordings of poorer quality, it indicates just how transparent and neutral the Amp5 was. Other amplifiers, such as my Rotel, might never sound edgy no matter what you throw at them -- but, as I talk about below, they might also fail to put forward that last iota of detail, consistency, or transparency. Trying to compare Classé’s Sigma Amp5 to another multichannel amplifier is like trying to compare a Tesla to any other luxury sedan on the market. While it may be equally luxurious, powerful, expensive, and well-engineered, a Tesla goes about its business in a very different way, and like the Tesla, so does Classé’s Amp5. During my time with the Amp5, I primarily compared it to my Rotel RMB-1585 ($2999), a class-A/B amplifier of comparable specs but weighing 80 pounds and standing almost three times as tall. The two amplifiers couldn’t look more different -- the large stature and rounded, polished aluminum corners of the majestic Rotel remind me of Krell’s older TAS multichannel amp. The fresh industrial design of the Sigma Amp5, on the other hand is unique, modern, and instantly recognizable. There were audible differences too. I found the Rotel more inviting with music -- it exhibited higher levels of warmth, liquidity, and bottom-end grunt. Adele’s “When We Were Young” sounded smooth, refined, and seductive, but her voice also lacked any sense of breath, and gone was the subtle leading edge detail of the plucks of the bass strings. The Classé focused on transparency, neutrality, and detail retrieval, which easily made it my preference for movies and higher-quality music recordings. I found the two amplifiers to be on a par dynamically, but the speed of the Amp5 let it sound more agile and realistic, and more convincing. A final note: I attempted -- and failed -- to find each amp’s limit. But during those trials the Rotel proved noticeably quieter than the Classé, an observation supported by its claimed signal/noise ratio of 116dB to the Classé’s 100dB. While this was noticeable only at higher volumes, it did come as a bit of a surprise. Listening to Classé’s Sigma Amp5 over the past few months has reaffirmed my opinion that digital amplifiers need not sound “digital,” and that the future of digital amplification is secure. For use as a home-theater amplifier, the Amp5 acquitted itself without flaw, and, perhaps more important, instilled a sense of quality. This amplifier is thus qualified as one that can be put in a cabinet or rack, driven hard every day, and forgotten about. 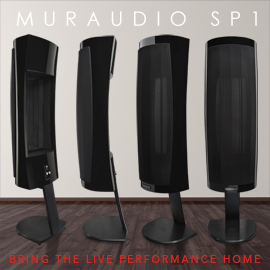 With music, the Amp5 put forth an inviting, nuanced, highly dynamic sound sure to please anyone who doesn’t want syrup flowing out of their speakers. Whether you want to use all five of its channels for multichannel media, biamp your primary channels in a dedicated music rig, or use it as a multi-zone amplifier, Classé’s bulletproof Sigma Amp5 is up to performing the task, and will put a grin on your face as it does. I can’t help but recommend it.